These turquoise stones, also known as Aventurine are a form of quartz characterised by its translucency and the presence of platy mineral inclusions that give a shimmering or glistening effect termed aventurescence. 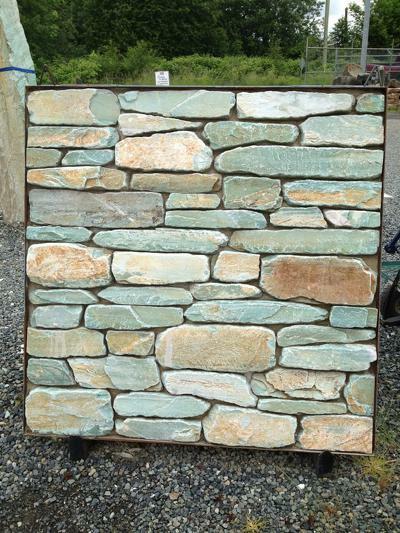 We carry this stone in a multitude of different forms from columns, drilled gurglers, gravel, ledgestone, tumbled, and veeners. 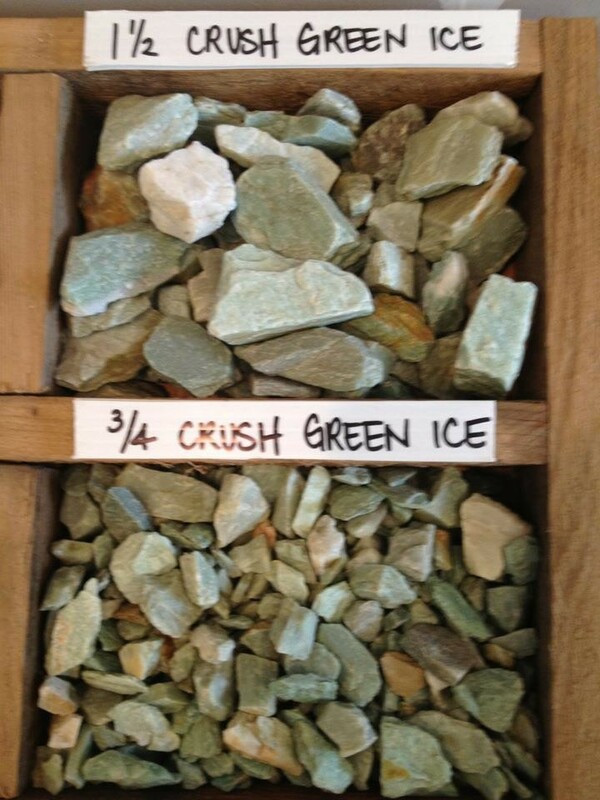 Here at Hillside we call the Aventurine gravel "Crushed Green Ice" and we carry it in two sizes: 3/4 Inch and 1 1/2 Inch. The green colour really brightens up when the rock is wet. This is sold by the 40 lb bag, or is also available in super sacks, which is how it is shipped to us. They are sold by the pound and average between 3000-3500 lbs which is approximately 1.5-1.75 yards. 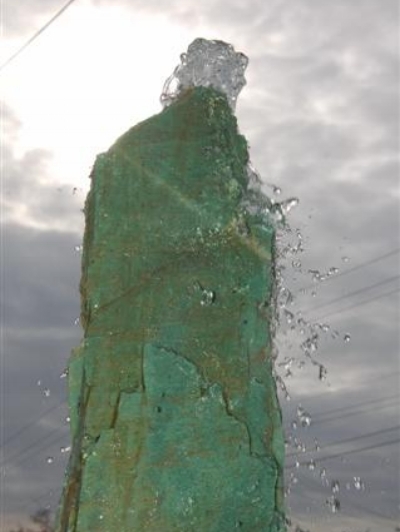 We carry the Turquoise columns in a variety of sizes, some are pre-drilled for use in water features but we also offer custom drilling up to 10'. We carry this product in a variety of different sizes and thicknesses allowing it to be used for just about any project from drystack retaining walls, finishing the side of your house, creating a waterfall feature or stone bench or even a walkway. See below for some project ideas and samples.